Are you facing a problem of sharing your 3D models with someone who doesn’t have the required design CAD software? 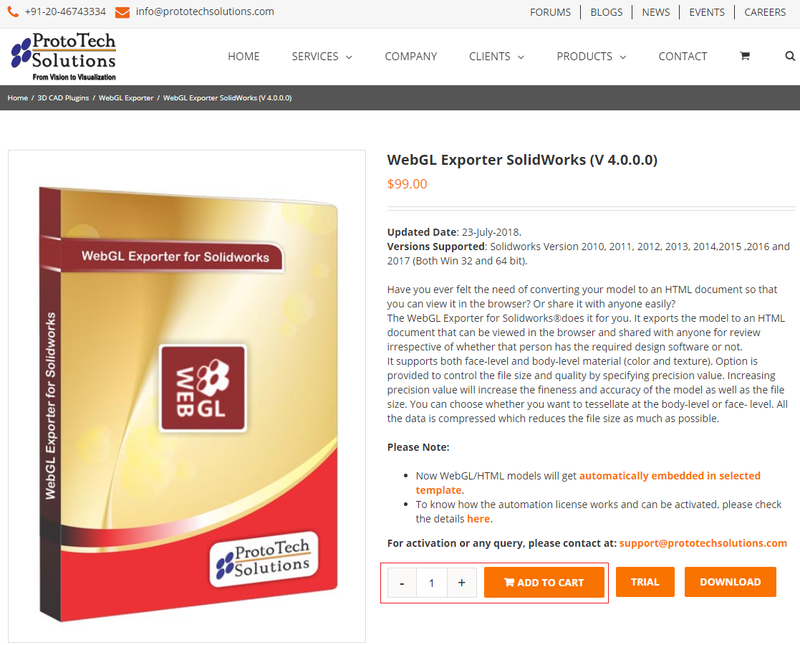 You can share the model by converting it to 3D PDF file format, OBJ file format, WebGL file format, JSON file format so that anyone can view it. 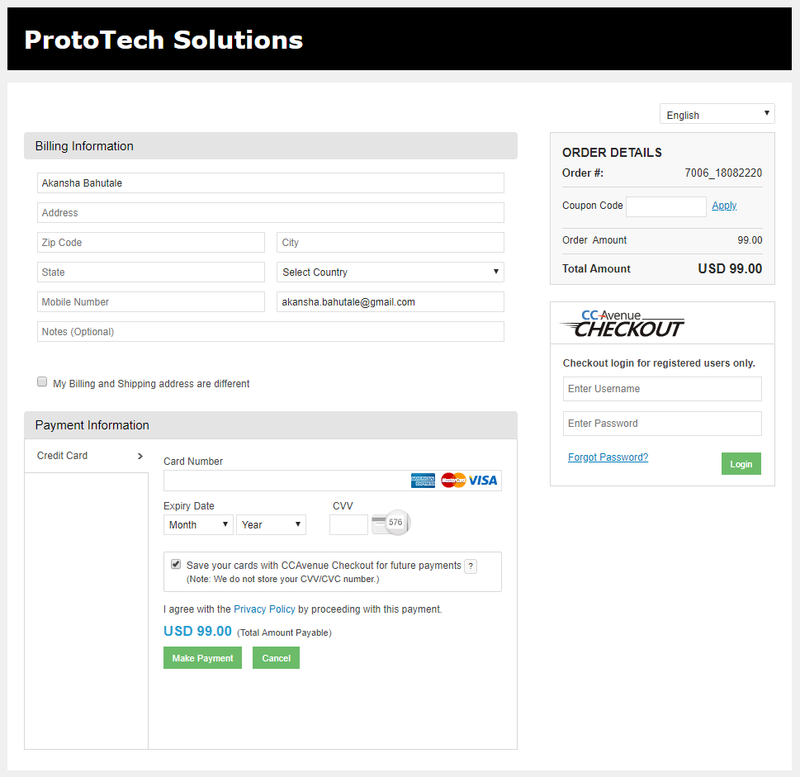 Browse the Prototech Solutions website https://www.prototechsolutions.com/. Please ensure that you are connected to the internet. 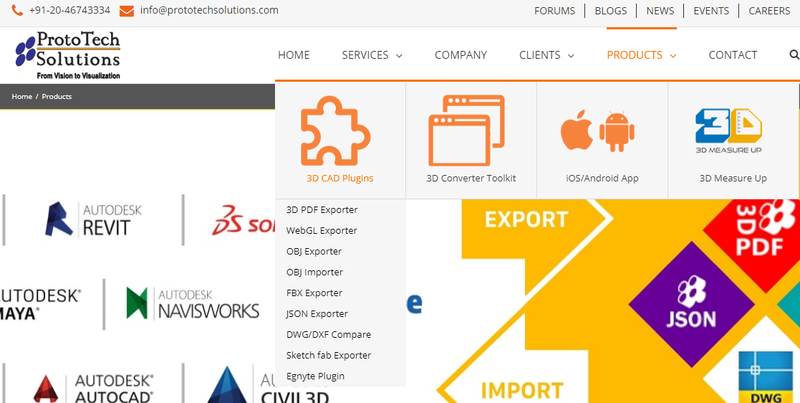 On the above page, search for respective CAD plugin converter (for example- WebGL Exporter for SolidWorks) and click on Details button of that plugin. Now on plugins details page, add the number of CAD converter plugins you are willing to purchase and click on ‘Add To Cart’ Button. 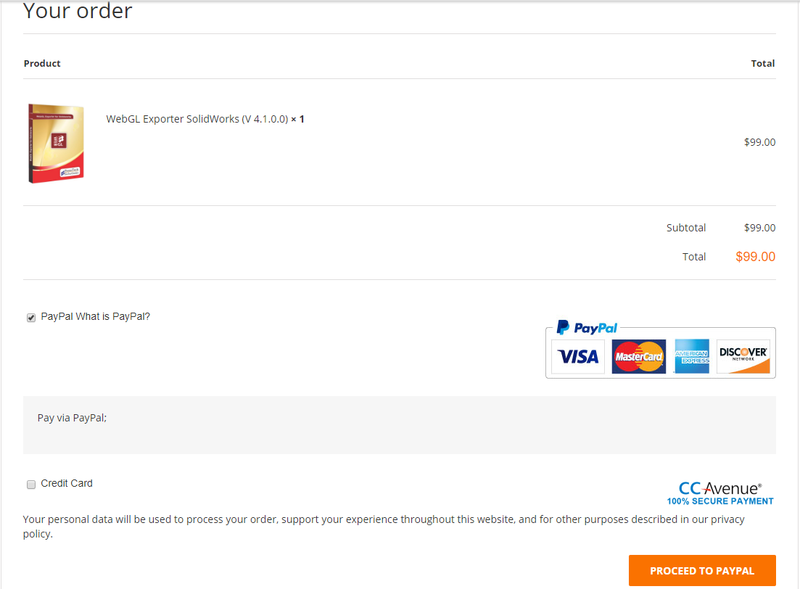 You should be redirected to your cart with respective Plugin in the cart with Price, Quantity and Total mentioned. If you have any valid ‘Promotional Code’ then Enter inside the Coupon code text box and click Apply. 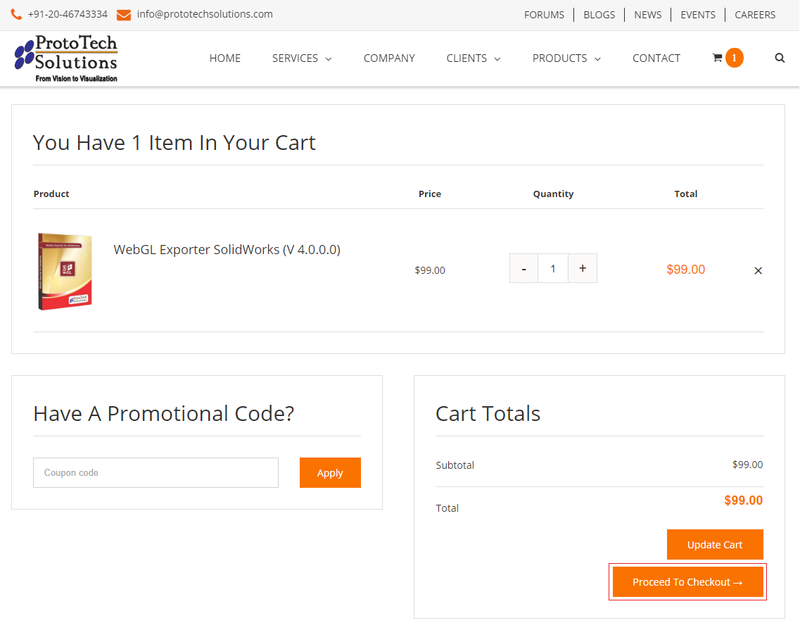 If you don’t have any Promotional code then directly click on ‘Proceed To Checkout’ button. On the Checkout page, enter the valid ‘Billing Details’. 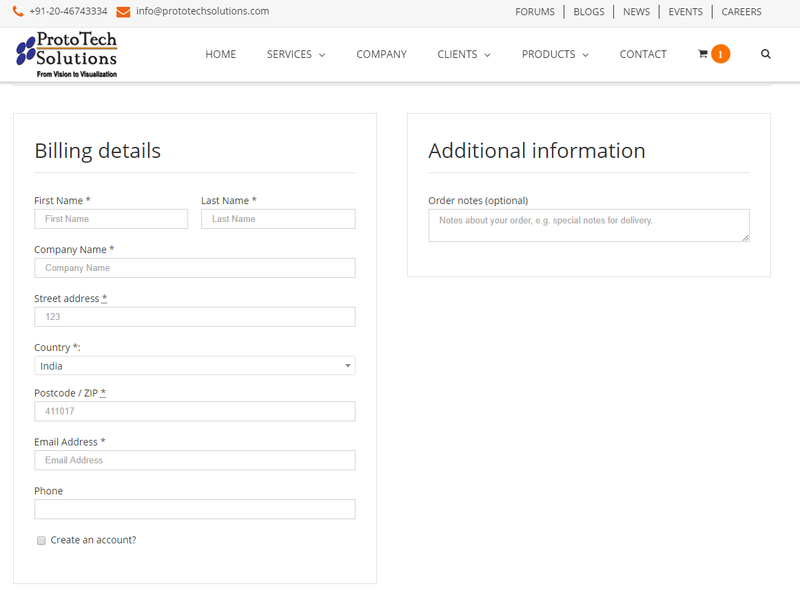 Inside ‘Your Order’ section chooses the online ordering service (for example, PayPal or Credit Card) and click on ‘Proceed’ button. 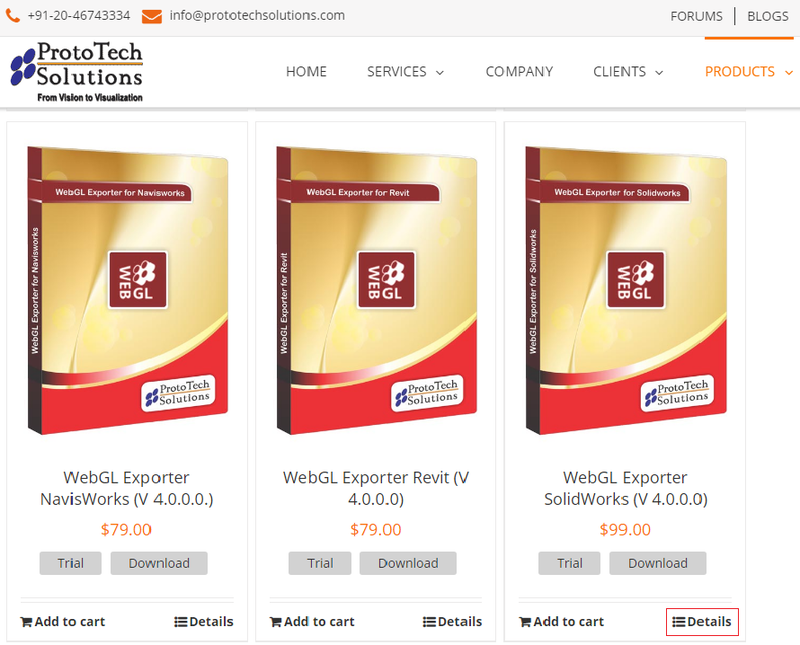 Note: Please contact support@prototechsolutions.com, if you have any queries or need assistance for purchase. Please select the preferred online ordering service e.g. PayPal or ‘Credit or Debit’ Card via CCAvenue gateway. Please enter the valid details and proceed for the purchase. 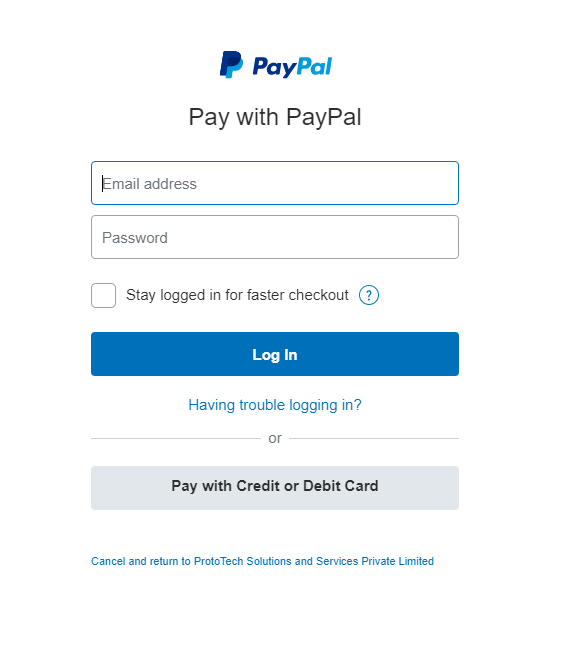 You can Log-in to your ‘PayPal account’ or you can continue to Pay with ‘Credit or Debit’ Card. You can pay securely by Credit card through CCAvenue gateway. Once the purchase is successful, separate emails for license key and invoice will be sent automatically to your email ID used during purchase. Note: Please refer CAD plugin activation guide for further help for license activation.